Susana Leyva, MCMSc, PA-C joined DSSP in early 2018 and has been a Physician Assistant since 2012. Susana joined DSSP in early 2018 and has been a Physician Assistant since 2012. She grew up in Tucson and graduated with her Bachelor’s degree from the University of Arizona. 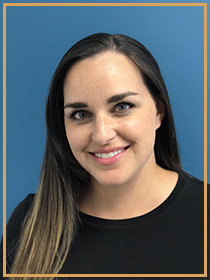 After a few years working in the physical therapy world, she packed up her life and moved to Miami, Florida, where she received her Master’s Degree in Clinical Medical Science Physician Assistant studies at Barry University. Although she loved getting in touch with her Cuban roots and misses seeing the beach every day, she returned to Arizona to settle down. Susana is married with two beautiful kids and two ugly dogs. A die hard Wildcats fan, when she is not treating patients in the clinic she is usually cheering on her team or traveling down to attend a game in Tucson. Susana truly has a passion for medicine and a positive attitude that can be infectious. She strives to treat each patient like family and will go above and beyond to help them achieve their health goals.